Another No.G product for you all to drool over today! These notes have been in my notebook since the beginning of December and it is really time this fantastic product should be on my blog! When No.G asked which products I would like to try, this one really stood out as I used to love the feta and broccoli quiche from the Morrisons deli, I ate it all the time, no wonder I was always so unwell! My eyes lit up when I found that No.G cater to a market that is gluten free but like to have flavoursome food. There is only so many chicken nuggets and chicken burgers you can eat! Being crustless means that there is only pastry on the bottom of the quiche. I baked mine in the oven to have it with salad for dinner and the pastry went beautifully crisp. I also ate one cold and though the pastry wasn't as crispy, it still really stood on its own as a great pastry. In terms of flavour, the mixture of green vegetables and mint combined perfectly. If you are not a mint person I would recommend trying another flavour as it is quite prominent. But as I am a fresh mint lover, it was perfect! 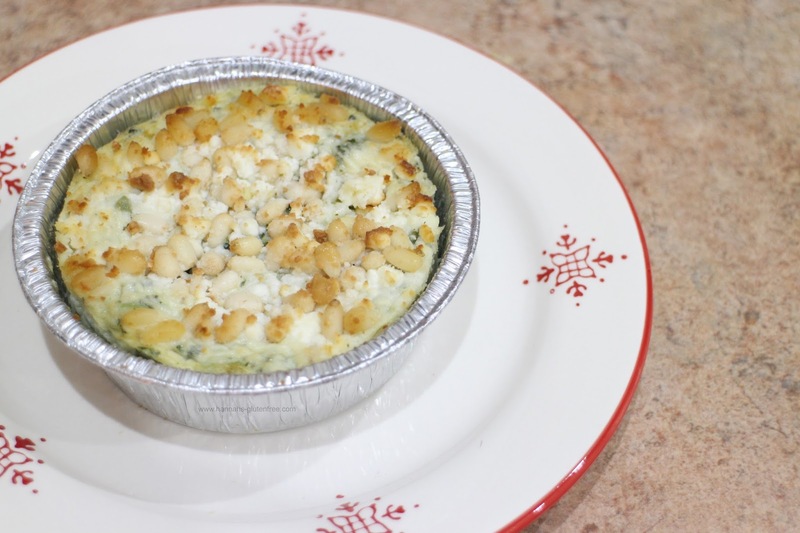 Sprinkled on the top you will find feta and pine nuts which added a crunch and richness to the quiche. The egg binding was fluffy and in no way stodgy. Overall everything tasted very fresh and light. At 309 calories per quiche, this would fit perfectly in any January diet plan you are choosing to follow as with a mixed salad, and even some boiled potatoes if you're feeling hungry for dinner will be a well balanced meal. Retailing at £2.50 you may think that this a quite pricey for a single serve quiche, but if you look at mainstream counterparts, they are very similar in pricing and do not even brush near the quality we are receiving from No.G. Ingredients such as feta cheese, petit pois, onion, asparagus, broccoli, spinach and pine kernels is just not something you see combined in a quiche everyday! I feel the quality is second to none with all the No.G food I have tried. I really enjoyed this quiche and it just makes me want to try more of their products! I find my local stores do not stock them but you can find them in Sainsbury's and online on Ocado. I would really recommend giving their range a go. I'm just trying to get hold of some of their sweet range now! *This Product was sent to me to try, all thoughts and opinions are my own.